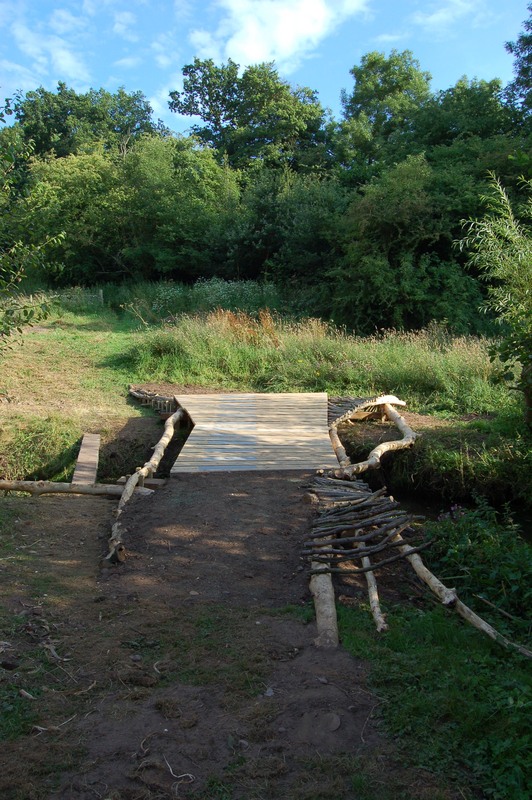 The project brief was to design and construct a small footbridge in The Hayes, near Stone, Staffordshire. The steep topography of the site currently means many visitors were restricted to the house and immediate gardens and not able to access the wider pasture, stream and woodlands. 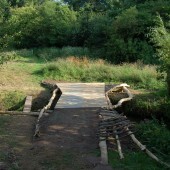 The bridge is part of a wider programme for The Hayes to provide all ability access to the stream and woods for recreational and educational use. 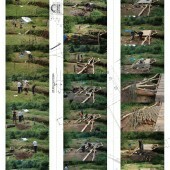 The Hayes seeks to strengthen their activities through ecological ends. 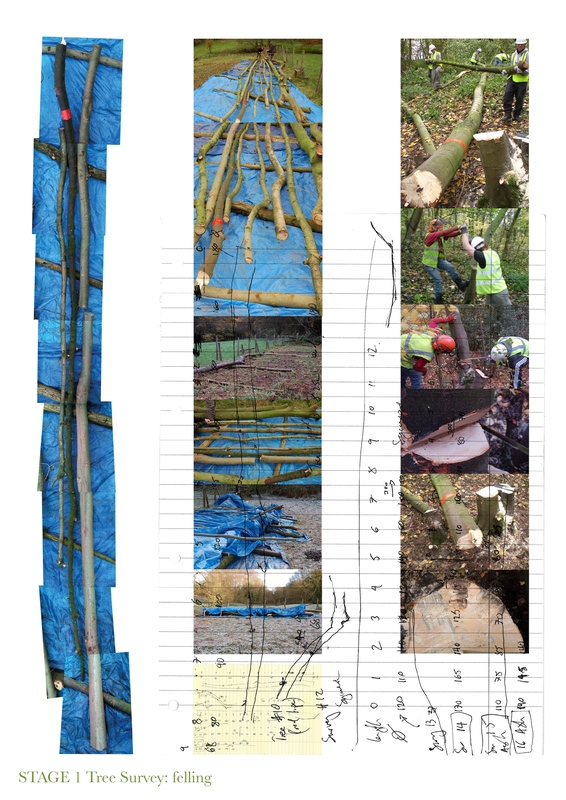 Part of project brief was to use green timber from felled tress adjacent to the site, reinforcing the notion of sustainability and resourcing local materials for the benefit of the community. 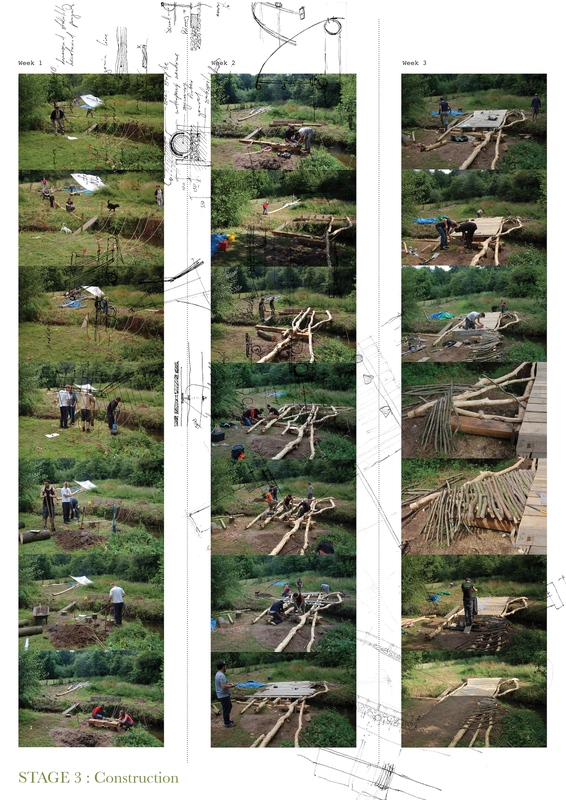 Students subsequently used the material to explore potential designs before selecting a final proposal to take forward to construction. Birmingham City University’s Co.Lab coordinated the live construction as well as securing funding from St.Modwen’s Environmental Trust. 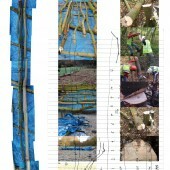 Research Question: How to use green timber as a design generator?